Brand new WPA style post card by Robert B Decker. Printed on Conservation, a 100% recycled paper with soy based ink. Shipping is free and I ship daily. Thank you for looking! 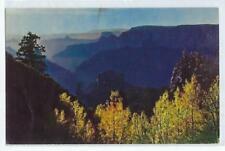 Boxed Set of 50 Yellowstone Park Views, C.A. Hamilton. All postcards in very good shape, except two (2) have writing on the back (see last photo). Box shows some wear and is in poor overall condition. Item will be shipped within one day from date of payment. A4229 Shipping is via 1st class mail, no tracking, unless otherwise negotiated. International shipping can be negotiated. Please view the scans, pictures say much more than we can. RPPC. WAWONA TUNNEL VIEW. YOSEMITE NATIONAL PARK, CALIFORNIA. The Wawona Tunnel was completed in 1933. EKC stamp box dates to 1930-1950. No photographer or publisher is identified. (See scans of front and back.). RPPC. WAWONA TUNNEL TREE. STAGE. YOSEMITE NATIONAL PARK, CALIFORNIA. No publisher or photographer. (See scans of front and back). 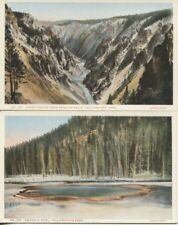 Gardiner Canyon and River -Yellowstone Park - Haynes Red Letter PC. Condition is New. Shipped with USPS First Class Package. You are looking at~ Bear Raiding Picnic Table~Yellowstone National Park. FREE Trial! 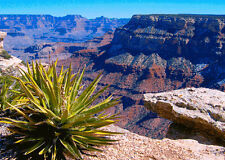 Grand Canyon, Mather Point Postcard. Condition is Used. Shipped with USPS First Class Package. (as can be seen in the pictures). Sorry for the poor quality picture of the back of this card. The stamp box is NOKO. (1907-1920) The pictures are of the actual card that you will get. I do not use generic pictures, front or back. 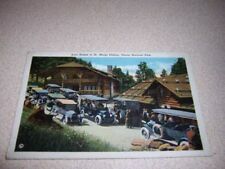 Panoramic Postcard : AHWAHNEE HOTEL - YOSEMITE NATIONAL PARK! The information on the back reads. (CORNER CREASE. LISTED DAILY. ASK FOR A PRICE QUOTE ). N.P. Station - Gardiner, Montana Yellowstone National Park - Asahel Curtis PC. Condition is New. Shipped with USPS First Class Package. Old Faithful Inn, Yellowstone National Park, Haynes Photo. Original early real photo card by Hileman. CABIN / MUSEUM. MARIPOSA GROVE OF BIG TREES. YOSEMITE, CALIFORNIA. RPPC. UNUSED. To help date it, the original Big Trees Lodge pavilion is barely visible in the right background. A man is sitting on the bench next to the open door. A terrific and very clear image. No publisher or photographer is identified. RPPC. NIELEN. WAWONA TUNNEL VIEW. YOSEMITE NATIONAL PARK, CALIFORNIA. On the front it usually said Nielen Cin. O. followed by a number. The first part of the number was the negative number and the last part was the year taken. Published by A. Nielen, Cincinnati, Ohio (#108-35). A4135 Shipping is via 1st class mail, no tracking, unless otherwise negotiated. International shipping can be negotiated. Please view the scans, pictures say much more than we can. PMC. WAWONA TUNNEL TREE. YOSEMITE NATIONAL PARK, CALIFORNIA. No publisher. (See scans of front and back). One source dates PMCs to 1898-1901. FOLEY. YOSEMITE VALLEY. BRIDAL VEIL FALL. YOSEMITE NATIONAL PARK, CALIFORNIA. BACKGROUND: Daniel Joseph Foley (aka D. J. Foley) was born in Dubuque, Iowa, to John Foley and Ellen Fitzgerald on August 7, 1857. 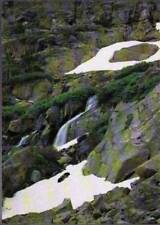 Foley first saw Yosemite in 1892, after running a newspaper in Pleasanton, where he was married. Deer In Cades Cove Vintage Giant Post Card. Condition is New. Shipped with USPS First Class Package. REQUEST A TOTAL WHEN FINISHED OR WAIT FOR OUR DAILY UPDATE.